Despite matching the Rocks side for three of the four quarters, a telling second period saw Fury fall to one and two in the Championship race. A low scoring 8-6 opening quarter to Rocks had seen both sides struggle on offence with Fury in particular failing to capitalise on opportunities created. But it was the second period that turned out to be the decisive spell of the game as Fury allowed Rocks perimeter threes and transition offence to push them to a 21 point half time lead. 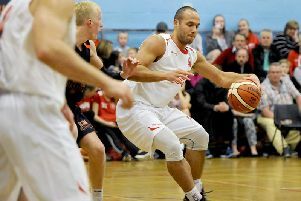 The third and fourth quarters, however, saw Fury dig deep defensively and take the second half by a total of three points. Fury pressed throughout, forcing Rocks to use all their timeouts as the Falkirk side threatened to bring the game to single figures in the final stanza. 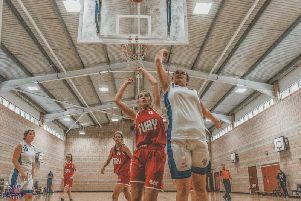 While Fury had nine scorers in the game, no one made double digits with former Scotland Junior Chloe Lodge leading the team on nine. Winners of five National titles with the club as Cadettes and Juniors, 25-year-olds Jenna Beattie and Kirstie Young shared 16. Fury head coach John Bunyan told the Falkirk Herald: “While you are never happy with a loss, our team can take a number of positives from the game and clearly a number of areas we need to continue to work on. “Credit to the Rocks in the second period which is where we lost the game, they shot well from the perimeter against our defence and we allowed them far too much in transition.